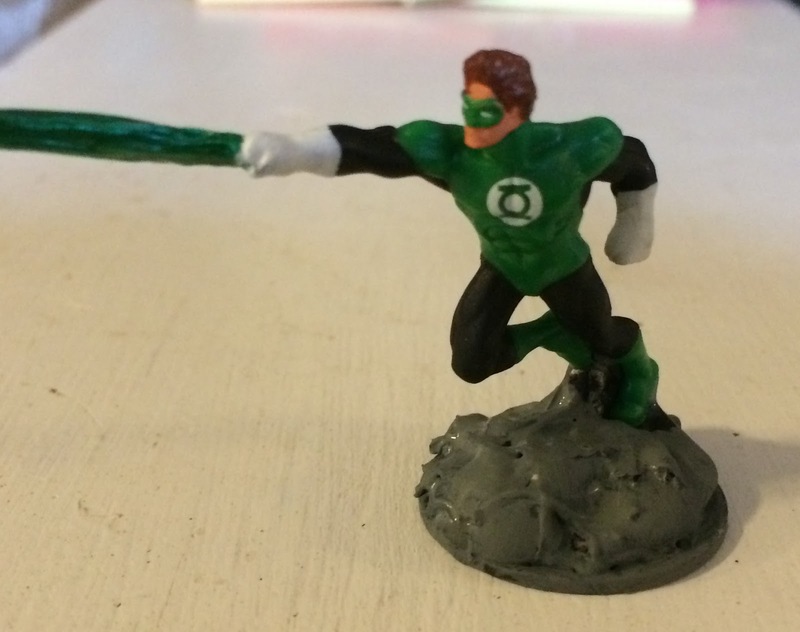 Attack: Green Blast, +4 to hit, 1d6+1 willpower damage, range 60 ft.
Elemental Powers (7x/day): Construct, Elemental Shield, Green Missile (a la Magic Missile), Hold. I think that was supposed to say "has always been" and I tried changing it "will always be" and the end result was a mash-up of the two. Is this in reference to Kyle Rayner? I think the aether of the web is playing games with your comments! Weird. Yeah my original coment is gone. Kyle R is my fav because he became GL when I was a kid and he’s the only Lantern that’s been a Titan. I think it's interesting, for legacy or team-based heroes, how we can get used to our guy (or girl) being THE guy (or girl). Wally, for example, was certainly my Flash when I started reading comics not too long after the Crisis. I'd imagine there are a bunch of fans who grew up on the JL cartoons for whom John Stewart is the only GL that matters.